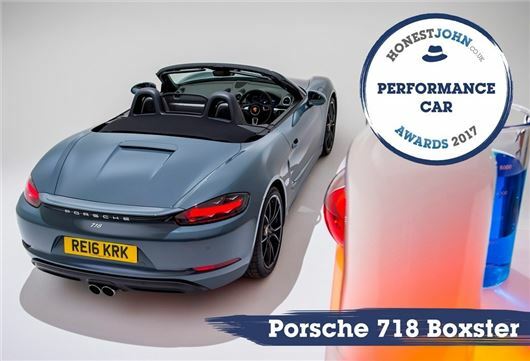 The Porsche 718 Boxster has been named as the Most Popular Performance Car at the Honest John Awards 2017, with readers praising its blend of performance, comfort and everyday usability. “The new Boxster is better than ever, with more power, better handling and faster 0-62mph times," said Dan Powell, Managing Editor of HonestJohn.co.uk. "The new turbocharged engines are the stars of the show, with significant improvements in both fuel economy and torque. Clearly we're not alone in our admiration of the 718 Boxster, with our readers ranking it as their favourite performance car for 2017,” added Powell.